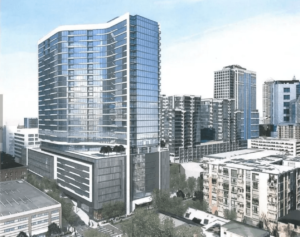 Hanover Midtown is the one of the latest mixed-use high-rise projects the NOVA team is working on in Atlanta. Our team will be performing the construction materials testing and special inspection services on the 30-story tower. Hanover Midtown will contain 342 apartments, 44,000 SF of office space and 11,000 SF of ground-floor retail space and is expected to be completed by Fall 2018.